CONGRATULATIONS, we’re #1 (nationally!) for the month of April !! This means we all get dinner together, on corporate’s tab. This is a very high profile win for us, coming off of a very high profile positioning that we were able to generate at the recent Velocity meeting. Let’s continue this momentum!! 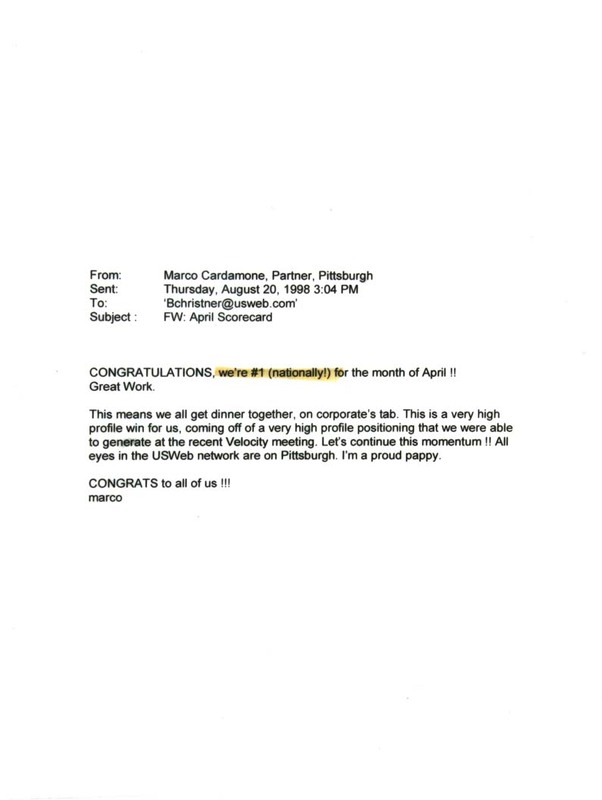 All eyes in the USWeb network are on Pittsburgh. I’m a proud pappy. CONGRATS to all of us !! !